Barcrest was established in the UK in 1968, which gives it a long and extensive history in the gaming sector. 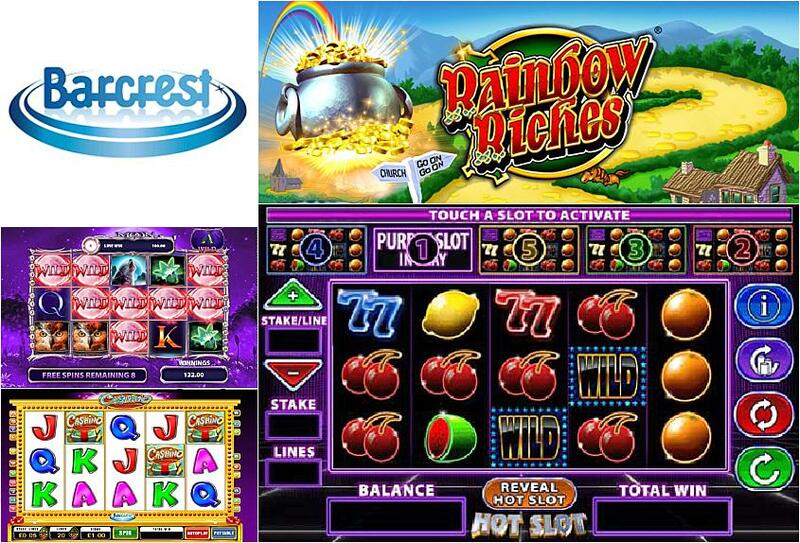 It started life as a developer of land-based fruit machines and has now expanded into the digital gaming sector, providing some of the most popular and engaging titles available today. Click here to read more. During its high point from the 1970s to the 1990s, Barcrest operated a large percentage of the slot machines available – first in the UK and then across Europe. This led to International Game Technology (IGT) acquiring the business in 1998. It was later bought by Scientific Games in 2011; however, Barcrest remains a subsidiary and continues to have success in the gaming sector, now offering multi-channel systems to mobile, internet and interactive digital TV gaming providers. Over the years, Barcrest has been responsible for a number of iconic titles that will resonate with players across the world, including Monty’s Millions, Ooh Aah Dracula and Rainbow Riches. These games have been played on land-based machines and are now doing exceptionally well in the online domain. As the company and the market have developed, Barcrest has launched more specific online titles featuring some excellent bonus content, including Merry Money, King of the Aztecs and Rob da Bank. It has always been seen as ahead of its time and Barcrest has launched many firsts in the sector over the years, including breakout bonus games featuring board game-style rounds to boost your winnings. It was also the first games developer to make use of five-reel slots as opposed to the traditional three-reel format. The titles now on offer from Barcrest incorporate solid game play features that do not need the latest high-tech graphics or complex bonus features to attract players. It also keeps the soundtracks to a minimum, with themed music when the reels are spinning and welcome silence between spins to give you the chance to pause and assess the situation. Three of the titles that showcase the capabilities of Barcrest are Ooh Aah Dracula, Elvis Top 20 and Merry Money. Ooh Aah Dracula started life as a live slot game and is now available online. The game is based on a Dracula theme and features free spins and a high-roller option to create a slot that entertains even when playing with the lowest possible stake. The retro Elvis Top 20 has a solid base game, three bonus features that are simple but rewarding, and a catchy soundtrack that ensures players keep coming back for more. Merry Money, which shows how different Barcrest can be, was developed with online play in mind. It has a Robin Hood theme and you have to steal the loot before the sheriff wakes up in the bonus feature. Barcrest has a focus on creating classic titles with a great gaming style, all of which are worth playing. Its extensive history gives it a strong position in the market and has enabled it to produce some of the best games around.